Not so long ago my parents gave us their air fryer, before they started their full time travel life. It is a kitchen gadget they used often and a regretful one to part with, however until recently I have not been using it to its full potential. We do not own a deep fryer. It is something I’ve always put my foot down about with hubby, even though he likes the idea of it with certain foods. We haven’t needed one in all these years, so we aren’t about to start. I prefer to oven bake or shallow fry on the stovetop instead. However an airfryer is a fantastic alternative for many kitchen appliances. Best of all… no oil needed! So lately I have been having a little bit of fun trying out some different veggies and healthy snacks in the air fryer. 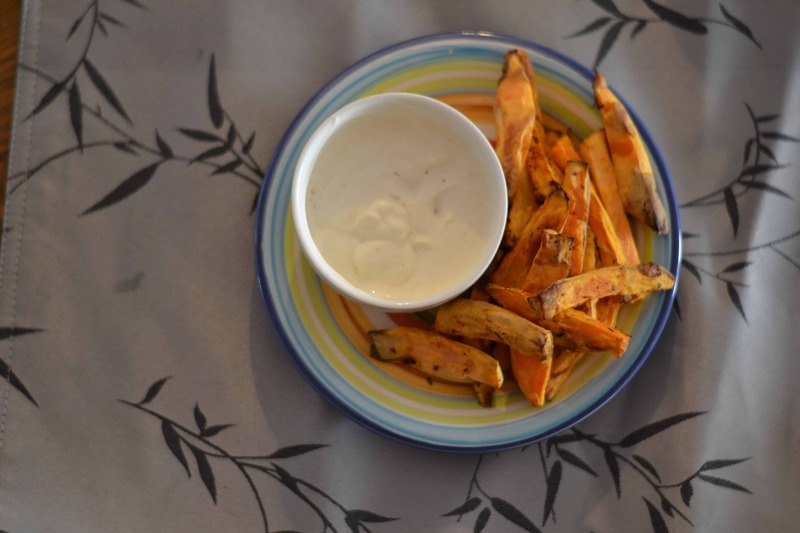 The latest being crispy air fryer sweet potato fries and an accompanying greek yoghurt dip for serving. 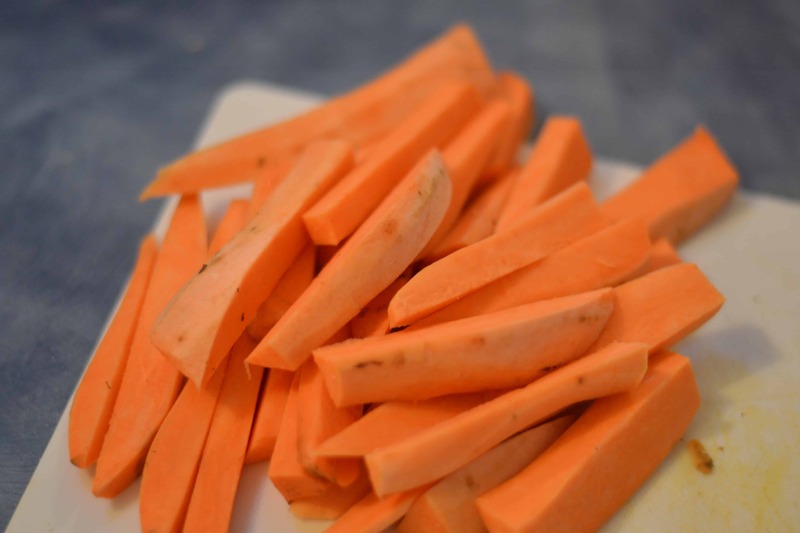 1 – Prepare fries by peeling sweet potatoes and patting dry. Cut into thin fries sized pieces. The thinner you make them, the crispier they will be. 2 – Toss fries with enough cooking oil to coat lightly and seasoning until covered. 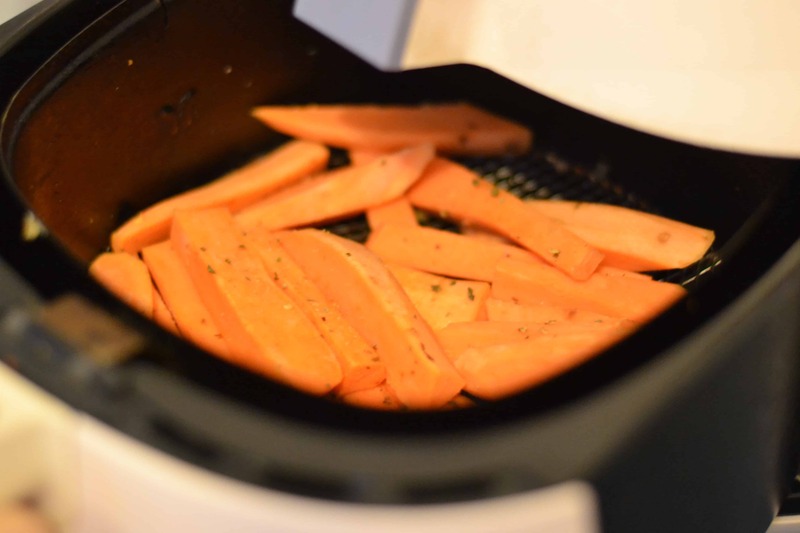 3 – Place sweet potato fries into air fryer basket, making sure you do not overfill. You may need to do several batches, otherwise they will not be crispy and some may burn on top. Cook for the recommended time. Each air fryer is slightly different. Ours is 10-12 minutes at 200 degrees celsius. 4 – While fries are cooking, mix all your ingredients together for the greek yoghurt and stir well. Leave dip refrigerated until you are ready to serve. 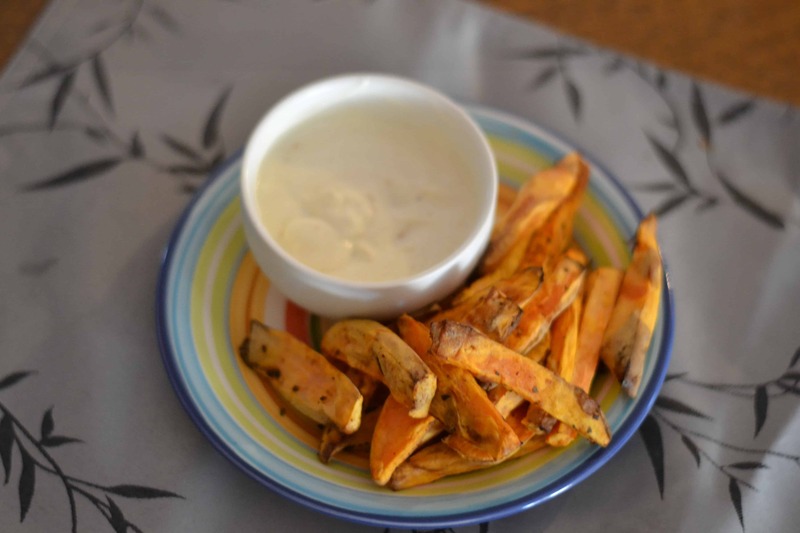 You can experiment with different seasoning for your sweet potato fries and your dip. Paprika or chilli flakes are great if you want to add a bit of spice. Or for a sweet alternative, pumpkin spice or cinnamon are a great option too! This is a fantastic appetiser when entertaining, a side dish for a main meal or a light meal or snack. Plus using the air fryer means it is easy to create enough for a single serve or for a larger serving. We have a Phillips air fryer similar to this one, although it looks far cooler in the black! If you do not have an air fryer yet, it is well worth the investment and there is so much you can do with them! Plus they make it easy to cook those dreaded chicken nuggets my kids enjoy so much! Looking for more healthy recipes? Check out my round-up of easy healthy lunch ideas. 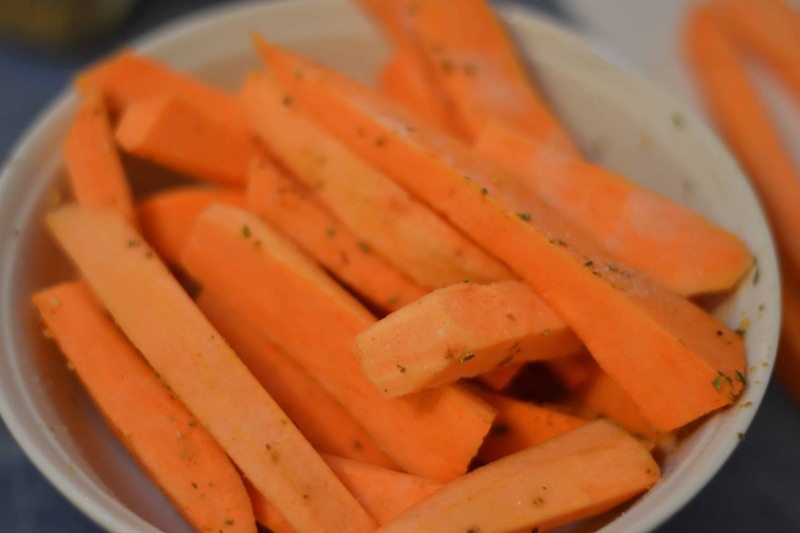 Do you have a favourite air fryer sweet potato recipe?